This is called phakki in Sindhi.. We make this during the wedding ceremonies. It is distributed to all the relatives too. TICKLE YOUR TASTEBUDS AND MAKE YOUR LIFE DELICIOUS - by visiting Lavanya's blog .. yes, that's the name of her blog where you can find a variety of mouthwatering recipes. Lavanya has started a new event " BE MY GUEST " - where she showcases a new and unique recipe of each guest and I am very delighted to be one. She also has a giveaway of Pearl Earrings, Check it out and do participate..you might be the lucky winner !!!! Here below is the link. Click on it to see the detailed recipe. 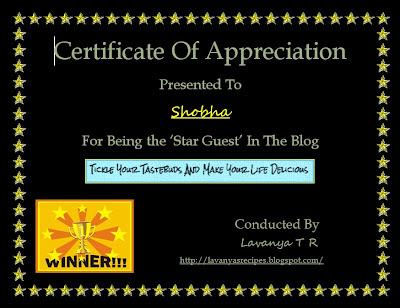 Congrats shobha.. the recipe is awesome..
Just went through ur guest post dear, kudos to u. It is always a pleasure Punitha. 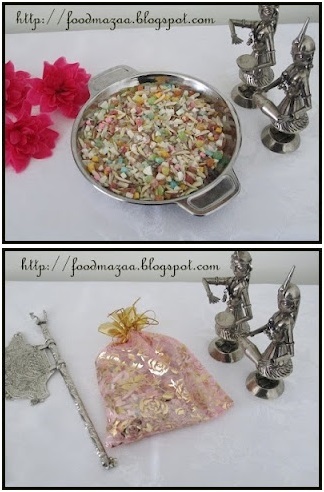 saw it at Lavanya's space,left my comment..Interesting & lovely recipe!! Congrats Sobha! The mukhwas was truly awesome.